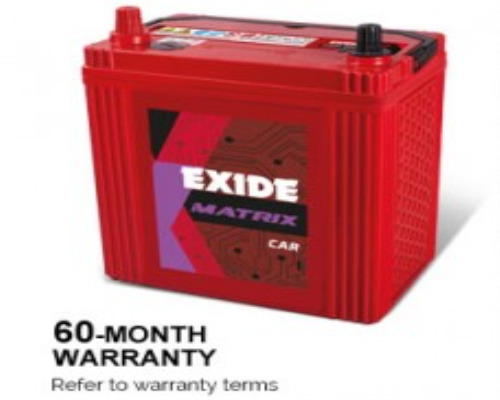 Exide FMIO-MI35R batteries with 35Ah capacity has robust design to meet rigorous application requirements. Superior side-vented cover design offers outstanding spill-resistant feature and double-clad separation offers high reliability and life expectancy. Excellent spill-resistant characteristics just perfect for any type of road. Specially manufactured to withstand at high temperature. In built magic eye to determine electrolyte level and charge status. Robust design to make it perfect even for harshest weather condition. High consistency and life expectancy for double clad separation. This battery comes with Magic Eye for checking electrolyte level and charge status.